First things first, we had to decide how much we could actually afford to save every month. Times this by the amount of time until the wedding, and hey presto! You have your budget! Of course, this isn’t the way everyone decides their budget, but that’s how we came to ours. And it suits us just fine! 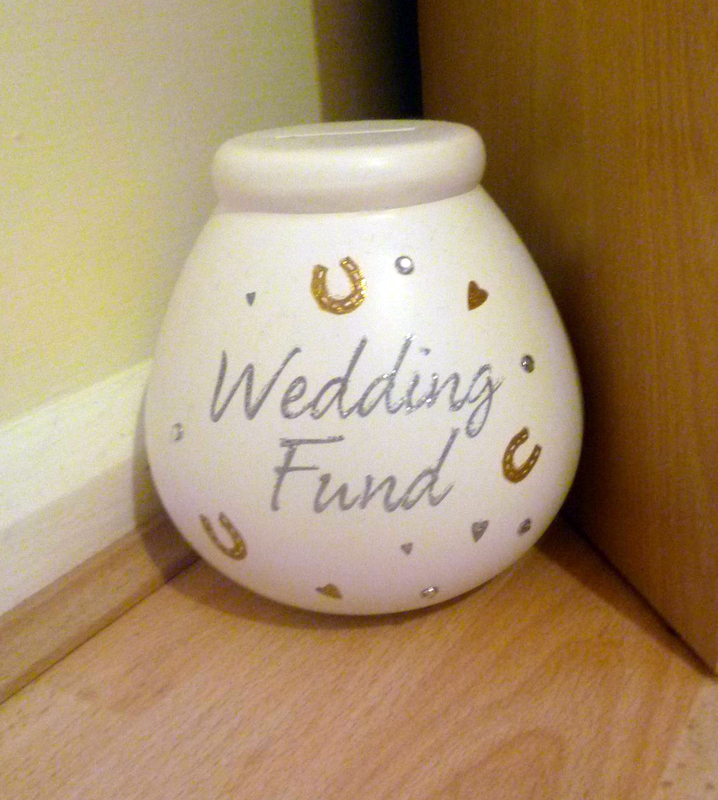 The Pot of Dreams is an add-on to the budget: whenever we have loose change (£1 / €1 minimum) or notes (!!) it goes in there. We haven’t quite decided what this will go towards yet – honeymoon spending money, I suspect – but hey, don’t weddings always go over budget anyway? It’ll come in handy whatever happens! We’re very (very very) lucky in that our parents are helping too – most unexpectedly, I had a phone call from my Mum the day after we went wedding dress shopping. First time I have ever been speechless in my life. Obviously, after an uncomfortable few seconds (which felt like hours), with my brain racing at 100mph, my verbal diarrhoea returned and I continued thanking them for weeks and weeks afterwards!